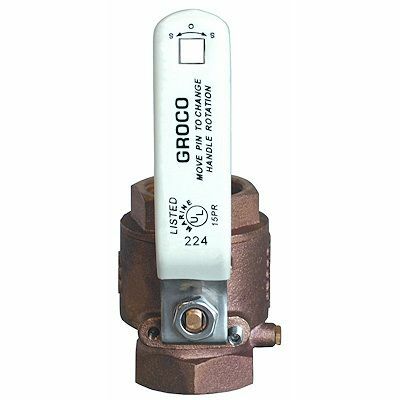 Groco IBV Series bronze full flow in-line ball valve. 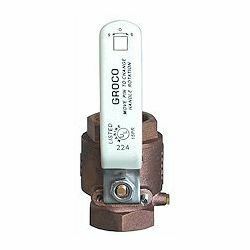 Note: Sizes 1-1/4" and larger include one grease zerk fitting (Can be used for lubrication or for draining). Type: Full Threaded, Size: 1-1/2" , Thread Length: 3.15"
Type: Threaded with Hose Barb, Hose I.D: 1-1/2"